The craziness of February is starting to get to me already... I have so many ideas running through my head, I have no idea how I am going to fit it all in! Why does the shortest month have the most special days in it? Groundhog Day, Valentine's Day, Flag Day (Canada), 100th Day (for us anyways), and I Love to Read month. AHHHHHHH!!!! And then I have to actually teach somewhere in there too! ;) Well here's some stuff we did this week. 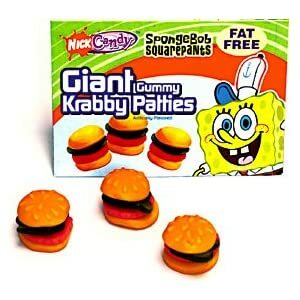 For every 10 books my students read at home, they get to write their name on a Krabby Patty and choose where they want to stick it on the bulletin board. I also found these little gummy candies that I'll give out as little incentives too! The kids seemed pretty excited about SpongeBob being in the school. Even some of the older kids commented on him! 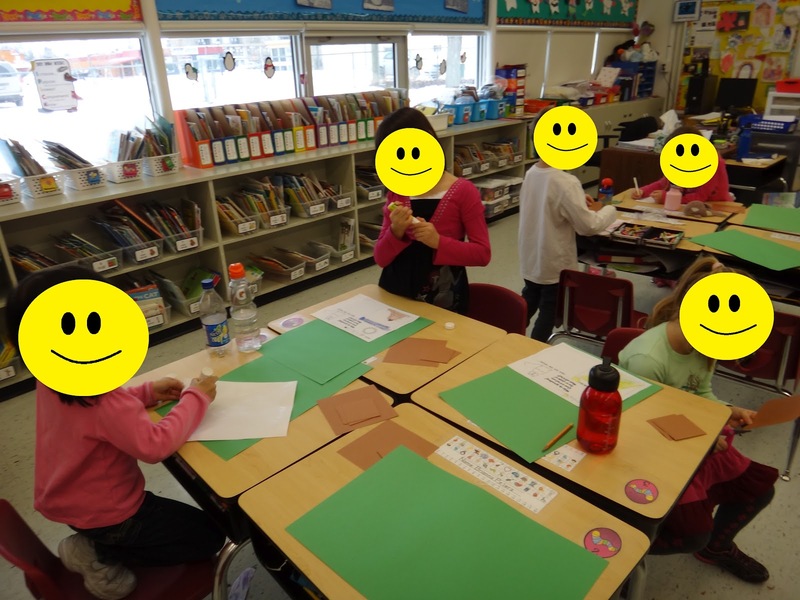 Continuing on with even/odd numbers this week, we created an "Even and Odd Street". I saw this cute idea on The Teacher Wife. First we made our even, "boring" houses that were all the same. Then I let them go CRAZY to make an odd house. Some houses are crooked, have 5 doors, or even no windows! It was a lot of fun, and will serve as a creative visual reminder! 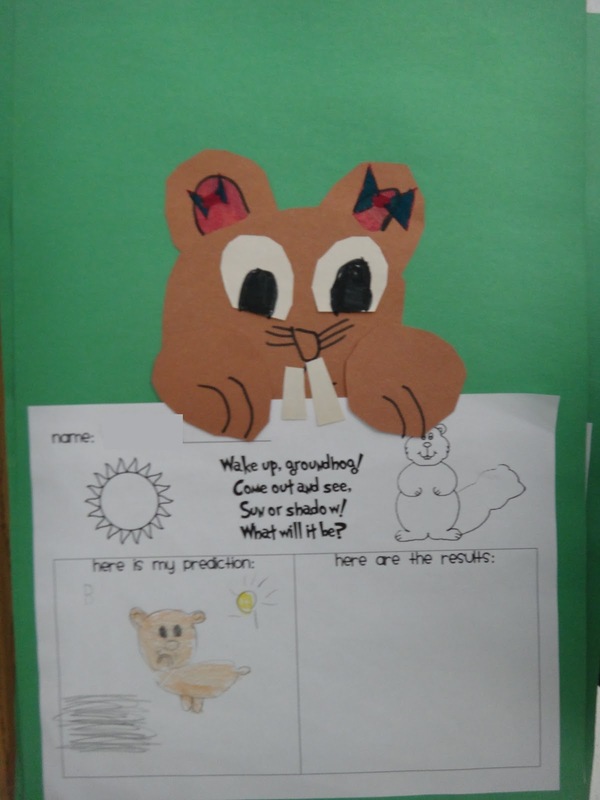 On Wednesday, we read this little Rookie Reader about Groundhog Day. It it is a perfect level for first graders! 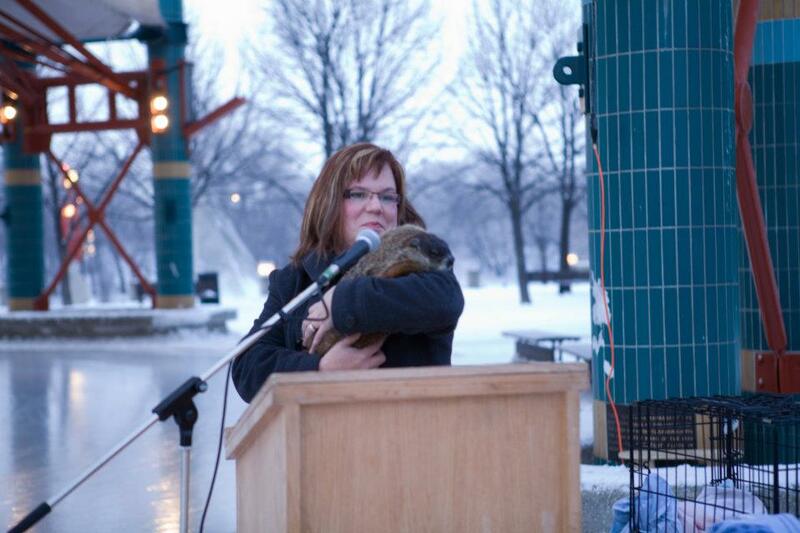 We talked about the traditions behind Groundhog Day. Then we made predictions about what the groundhog would see and graphed them in our pocket chart graph. 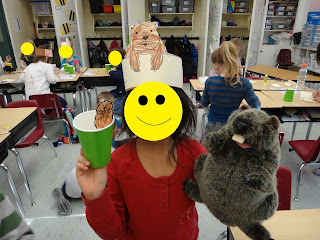 Then we made these little guys inspired by Mrs. Williamson over at Room 36. They turned out so cute! On Wednesday we drew our prediction in the first box. 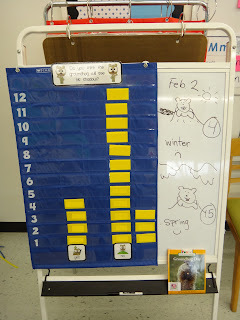 Then on Groundhog Day we filled in the actual results. 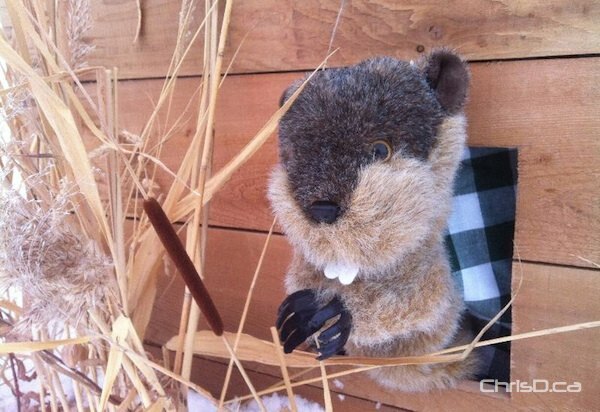 In Manitoba, we have "Manitoba Merv" (who is in fact a puppet) who has been around for a while. 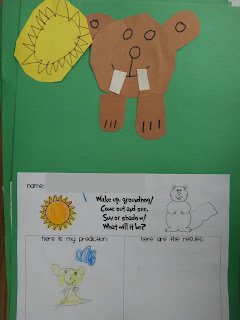 Merv did NOT see his shadow, so he predicted an early spring! I wish Groundhog Day was more like Groundhog Week. There were so many cute ideas out there, that I just couldn't fit them all in. I purchased Kim Adsit's Hooray for Groundhog's Day unit and it is FILLED with cute ideas. The only thing I had time for though, was her little compound word activity. Click the picture to see Kim's pack at TpT. I started by reading the book "Once There Was a Bull... Frog". It was a cute book to get the kids thinking about compound words. We should have done a brainstorming web, because they had a lot of ideas! Then we went through the images from Kim's pack together. Then they created their own little compound word books! I honestly had a hard time with this one. I'm like, "Cow-ball? cow-catch? cow-six? Maybe milk-ball, milk-shake?" I had no idea! I asked my kids what they thought, and instantly they were like, "Ms. T.... it's cowboy." Duh! Good thing I have these smarty pants around! 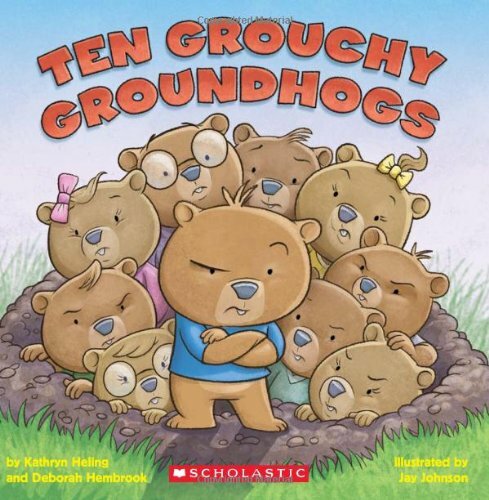 To end our fun Groundhog Day, we read "Ten Grouchy Groundhogs" (love this book... sooooo cute!) and we made headbands and puppets. These are our pictures for our year end scrapbook. They wore their headband, held their puppet, and got to hold my plus puppet too! They loved that furry little guy! I was all ready to do these adorable groundhog burrows. We were going to draw their homes in the burrow, then write about them. We ran out of time though, so I will save these for next year! The idea is from Cara over at The First Grade Parade. Friday was a divisional P.D., so it was a nice little break from the kiddies! But they will be back tomorrow, ready to go for another full week of activities! Have a lovely Monday, everybody! Great stuff! I know some teachers are weary about using pop culture in the classroom, but I am not one of those. If it hooks them, great! And I think kids like it when teachers recognize the stuff they are into. I didn't know Winnipeg had Willow! We need a groundhog here in B.C. I had the kids pretend they were groundhogs and then we went out to look for our own shadows. Ha ha. Valentine's Day and 100th Day in the SAME WEEK!